Most people think of acne as a “teenage” problem. Although teenagers may be affected by acne the most, it can affect people of all ages. 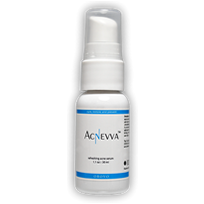 Acne breakouts are based on several factors and triggers; not just age. You may have been told that dirty skin and greasy food can cause acne. Well, that may not be entirely true. Our goal is to give you the right information about how to stop acne so your efforts will actually be successful. Your body produces natural oil called sebum. If one of your pores becomes clogged with sebum, the pore will expand and create a bump. 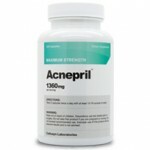 This can cause the walls of your pore to rupture, which leads to inflammation or infection. It’s as simple as that. What’s not so simple is identifying what things actually do and do not cause pores to clog. We already mentioned some of the things that people believe cause acne. The truth is that they may not play as big of a role as we think. The two most common misconceptions are about are food and dirt. Everyone has their favorite junk food or fast food. You may feel guilty every time you eat it; thinking that it’ll make your acne to flare up. Common sense and health experts tell us that these foods are not good for us, but they don’t actually cause acne. It’s a common belief, but there isn’t a lot of concrete evidence which proves that food causes acne. A lot of people think that blackheads are caused by dirt clogging the pores. This also is not true. Blackheads are pores clogged with sebum that has changed color because of oxidation. We recommend showering after you get dirty, but keep in mind that dirt is not what causes pimples to form. If greasy food and dirty skin don’t trigger acne, what does? Hormones, particularly androgen, are the biggest trigger for acne. The reason that teenagers seem to be affected by acne the most is because of hormonal changes that are taking place. Women who are menstruating or pregnant are also more likely to experience acne flair ups. Make up and cosmetics that are heavy or oily will definitely clog your pores. You can take two precautions to prevent this. First, use a gentle solution to clean your skin regularly so that artificial oils and cosmetics won’t build up. Second, only use cosmetics that are lightweight or water based. Some acne can be triggered by medications or substances. Medications that contain iodides, bromides, and lithium can cause acne. Steroids can also play a role in acne flare ups. Vitamin B1, B6, and B12 are good for your body and your skin; but if you take too much it could aggravate your acne. Teenagers aren’t the only people who have acne. If your pores become clogged or if your hormones get out of whack, your skin will break out. If possible, avoid ingesting medications that could make your acne worse. Try to buy lightweight cosmetics that will allow your skin to breath. If you can’t get your hormones under control, try to find a good acne cure that will reduce or eliminate break outs. It may be difficult, but it’s not impossible to stop acne. 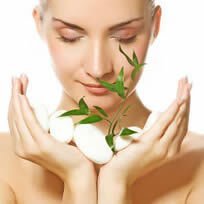 Comments on "Best Ways to Stop Acne"
Leave a Comment about Best Ways to Stop Acne here. what is the best medication for Hormones?? ?